Government and Politics is the most important and interesting subject in the world (honest!) In an era when political earthquakes like the election of Donald Trump as US President, the Brexit referendum and the collapse/restoration of government in Northern Ireland affect us all, it is important to be well informed and to know how such decisions and events come about. 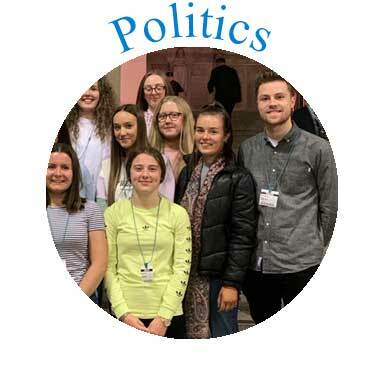 The aim of this A Level subject is to give pupils a deeper and more informed insight into the political institutions and politics of Britain and Northern Ireland, the U.S. and international politics. In this unit we will be looking at how the Stormont Executive and Assembly work (or don’t work). We will look at the views of the main political parties in NI on various issues. We will examine the rise of Sinn Fein and the DUP, how the parties have changed their positions over time and why they have now fallen out! As part of this module pupils will visit Stormont and meet MLAs from the major parties. This unit is concerned with what goes on at Westminster where the Prime Minister and her Cabinet propose policy. We will look at how the Prime Minister maintains power and how others, both in her own party and the opposition try to limit her influence. The role of Parliament will also be studied and how MPs perform their main functions of representation, law making and scrutiny. The role of judges in modern political life is also considered. We have visited London: the Westminster Parliament and UK Supreme Court, as part of the course over the last few years. At A2 Level we study the United States and political issues elsewhere in the world. We study the role of the US President, his powers and influence. We study Congress, its powers under the Constitution and its law making and scrutiny functions. We compare the political systems of the UK and US. We also look at Political Power across the globe, studying theories of power like Marxism, Elite Theory, Pluralism and Feminism. We study democratic and authoritarian forms of government and how they work. We ask why some states are successful and long-lasting and why others collapse. We look at case studies like Syria, Iraq, Turkey, Nazi Germany, Communist Russia and North Korea. We study political leaders like Vladimir Putin, President Trump, Colonel Gadhafi, President Erdogan, Fidel Castro and Joseph Stalin. We look at the impact of religious and ethnic divisions on societies, economic events, the role of the media and external interventions on states. Politics is a subject which is very useful for a variety of career paths as it involves the study of leadership and decision making in society. It develops many skills such as presenting a case, debating, analysing, evaluating actions and making decisions. It is particularly suitable for those seeking to study Law, Economics, Business, Philosophy, History, Sociology, Geography or Journalism. It is relevant for jobs in the Media, Teaching, Public Relations, Business, Management and the Civil Service. It is a very highly regarded A Level by Universities and employers alike. The most important leaders in society are often graduates of Government and Politics. It will also make you an informed and more interesting person to talk to. The Year 13 Government and Politics students have visited the Houses of Parliament, and the Supreme Court in London each year. We conduct a walking tour of Whitehall and the main Ministries of State. 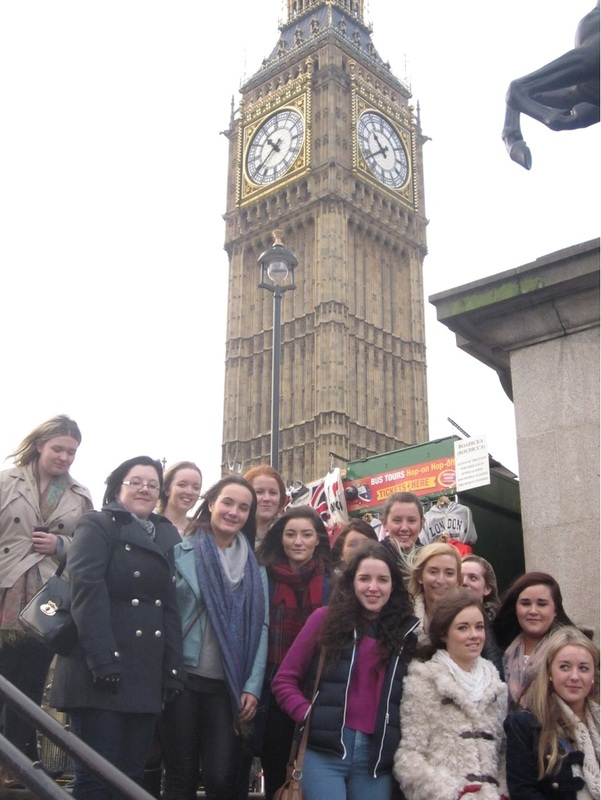 Our educational visits are done in conjunction with St Colman’s students studying Politics. It is a good example of collaborative effort. The students have engaged in debating in the ‘Select Committee experience’ with other schools. Year 13 students have also visited the European Parliament and Commission, including the NI Office at Brussels. The Year 13 pupils established a Debating Society which had a number of well-attended lively debates at lunchtimes on subjects like animal testing and global warming. A team annually participates in the British Council’s European Youth Parliament at Stormont in a debate involving two dozen other schools. We have sent teams to Dublin Castle to participate in the Republic’s Euro mock Council where the pupils played the part of EU ministers in topical debates. We were awarded Second Place out of the 28 schools competing across Ireland in 2015. The Politics group annually visit Government Buildings in Stormont and meet MLAs from a variety of parties. The Government and Politics pupils organised and were addressed by a number of politicians/speakers over the past year including Jim Wells (DUP) Health Minister, Margaret Ritchie (SDLP) MP, Chris Hazzard (SF) Minister for Infrastructure. Helen Jennings, one of our A Level students, was appointed UK representative for the Girls G20 held in Istanbul in 2016.